Before I make my excuses for the confusing title, let me just say that I'm going through a phase of feeling bored of my usual white background for shoting shoe pictures. Therefore, I'm trying to spice it up by using colourful furniture and other stuff I find laying around at home. Hope you don't mind. 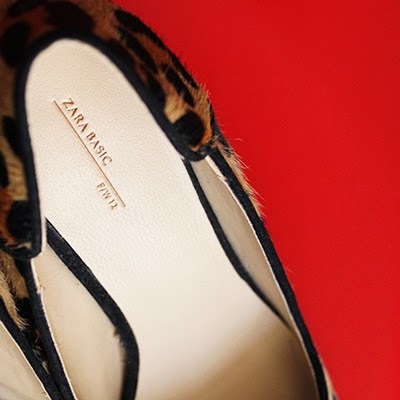 Onto the shoes. 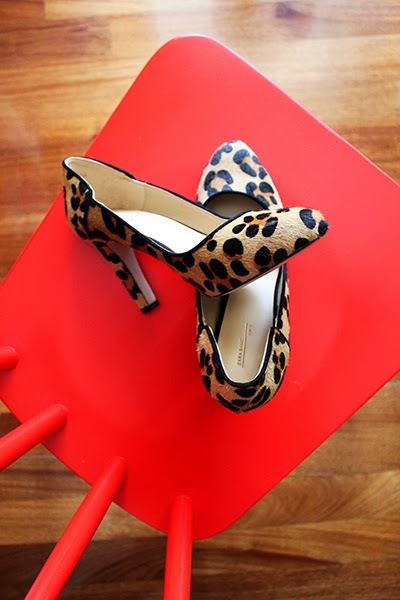 Aren't those leopard print pumps amazing? 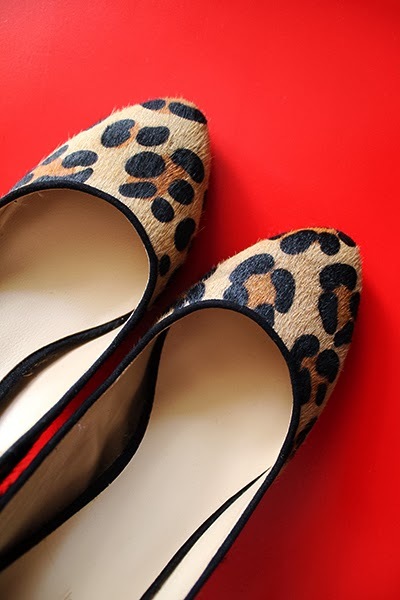 They are my first animal print shoes to own ever and they're also seriously comfortable to wear. I wasn't actively going for the pony skin look (which in this case is a figure of speech, as the material these are made of is cowhide) but I found them at the Zara end-of-season sale last February and got them at a ridiculous price. Speaking of last season, isn't it great that some brands have started marking their products with the year and season of make? 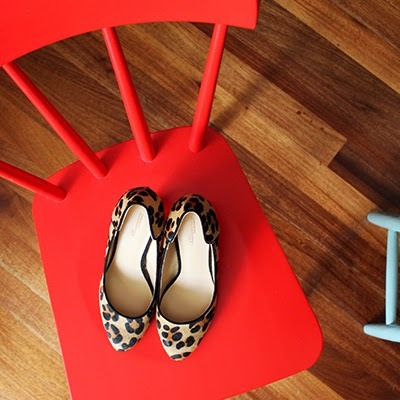 I've always loved to remember exactly when I bought a certain thing (it was one of the reasons I started this blog) and that makes it so much easier, even if an item gets passed along to a friend or swapped. I've already worn them with a forest green dress and I got pics taken that day, so keep coming back for those. Mou aresoun para poli! 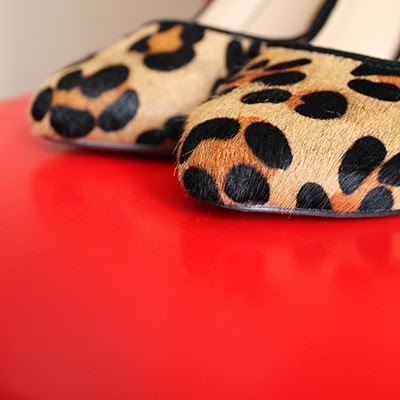 Exo 2 slippers me animal print pou latrevo, alla den exo parei papoutsia me takounia.Ta dika sou einai ontos POLI oraia,tha agoraso stis ekptoseis kai ego! Theloume na doume to outfit me ta papoutsia of course! !